My first (and last) FOOL Marathon! 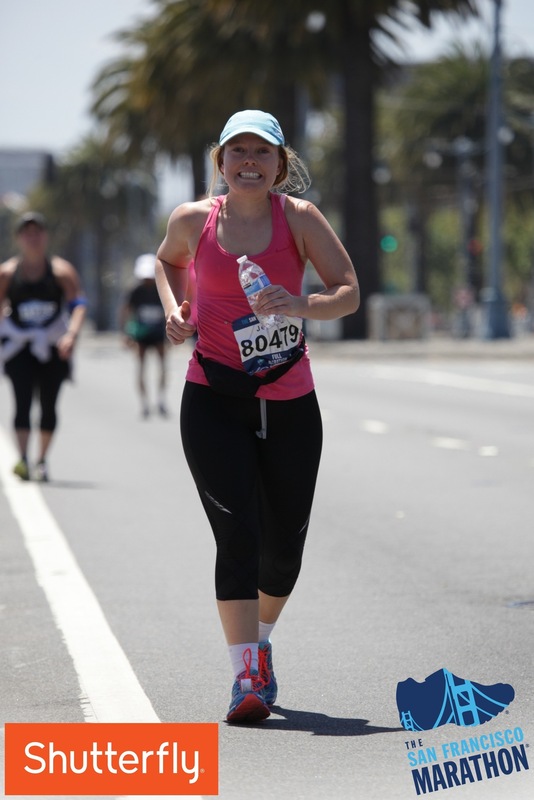 On Sunday, July 27, 2014 – yours truly completed her first and last Full Marathon! In the title I affectionately call it my FOOL Marathon this is because to me it felt very foolish, to pay for this torture. I’m sorta kidding – sorta not kidding. This race was tough and very mental. I would say more mental than physical most of the time. This is just my opinion! I know many people who LOVE them and repeatedly race! Before the marathon I had never ran more than a half marathon (13.1 miles) but I had a friend who encouraged me to run – said I would do great. SO of course I signed up! 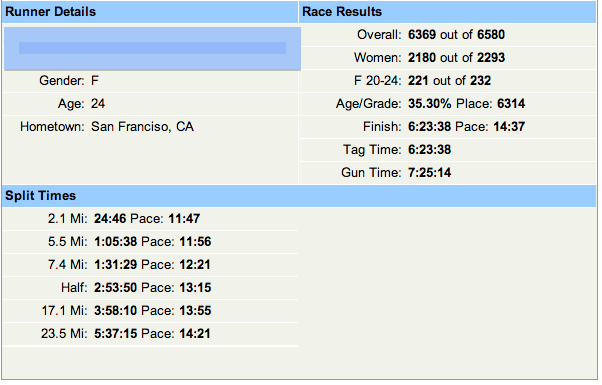 Leading up to the Full Marathon, a whopping 26.2 miles, I didn’t train at all. I was still exercising but doing more weight training then cardio. In addition to not training like I should have we also had to move the day before the race. Luckily I didn’t injure myself during the move and did not wake up sore the next day. 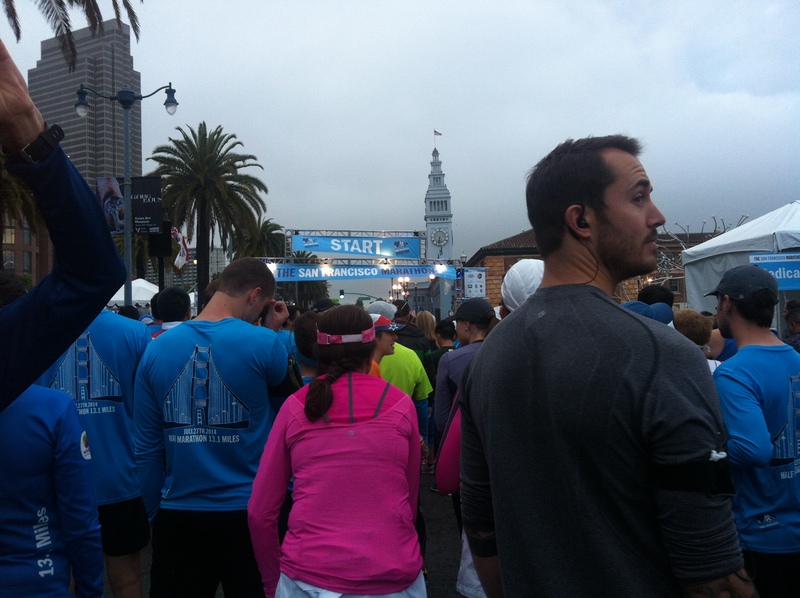 Morning of the race, I shimmied into my compression pants, laced up my sneakers, said a prayer and headed towards the bus to take MUNI to the start line! 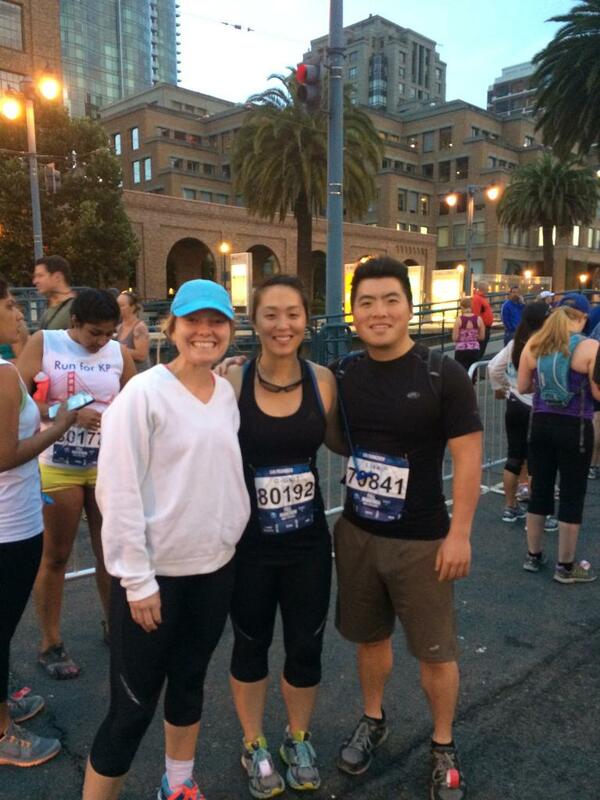 I met up with my friend (the one who convinced me to run) and one of her friends at the start line. 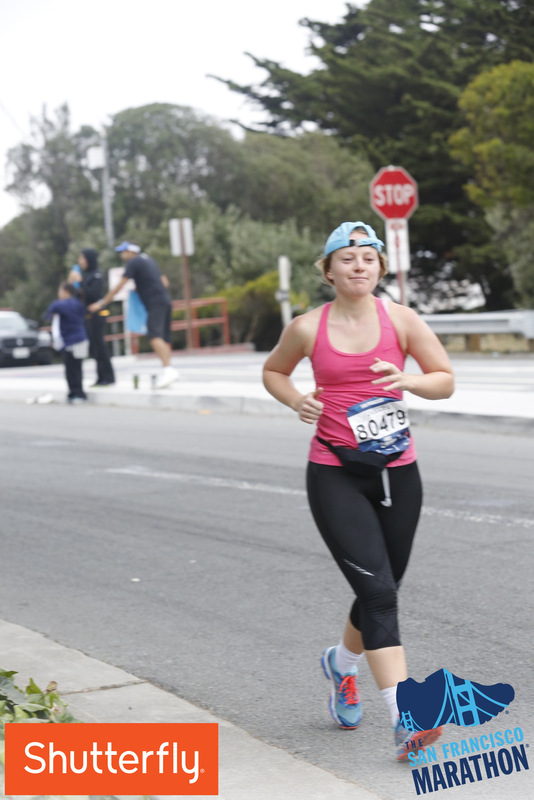 We ran together until about mile 6/7. At this point I fell behind and ran alone or with new stranger/friends. 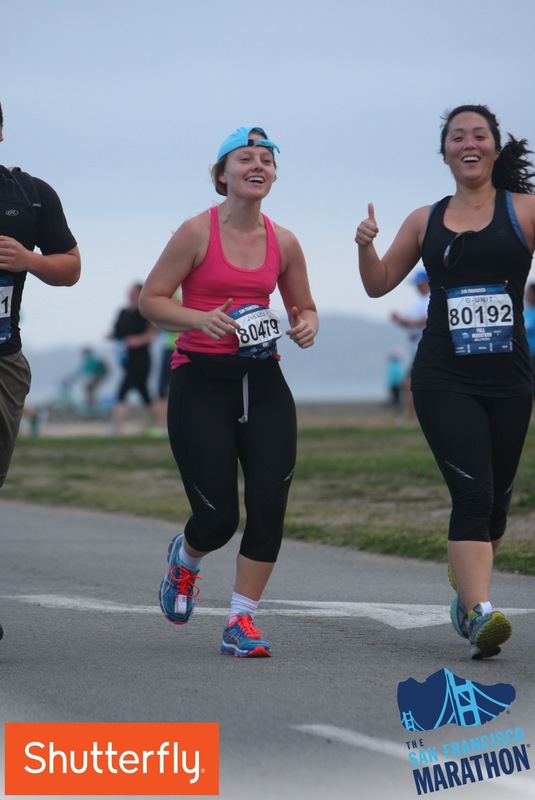 Runners can be so friendly! 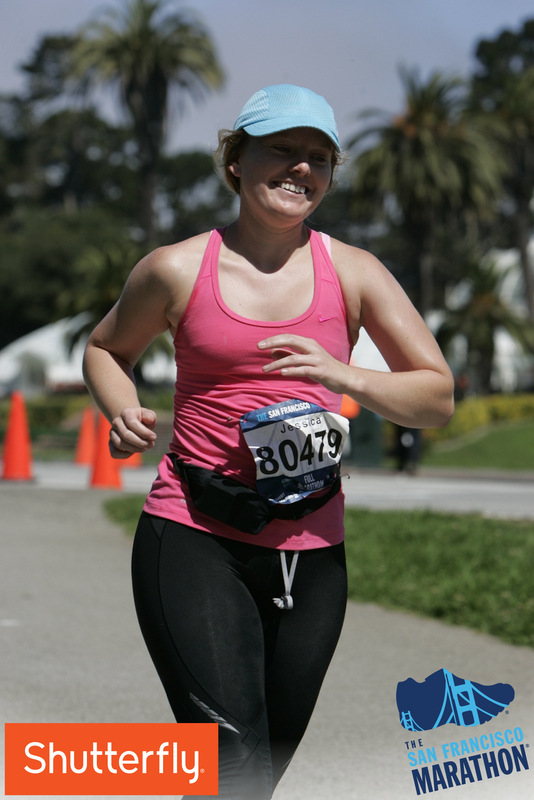 I ditched my white sweatshirt at about mile 5 and then wished I still had it going over the bridge! Once the sun came out, maybe around 10/10:30 am I began to roast. Usually I LOVE the sun, but in this case I would have preferred the overcast, fogness that can be found in SF on most days! Towards the end I was running slower than I walk but could not seem to make my legs straighten to a walk, so I kept on with my ‘granny run’ as I affectionally call my SLOW walk/jog. 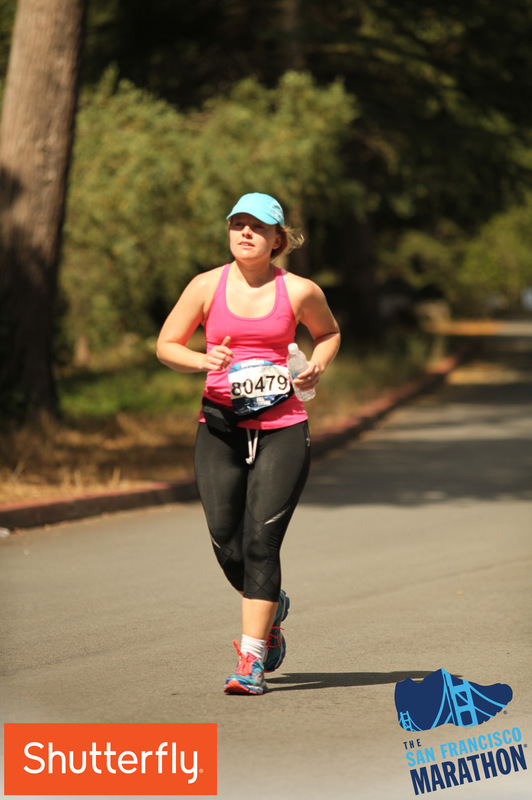 Here are some AWESOME race shots that were captured by the profesh photogs. 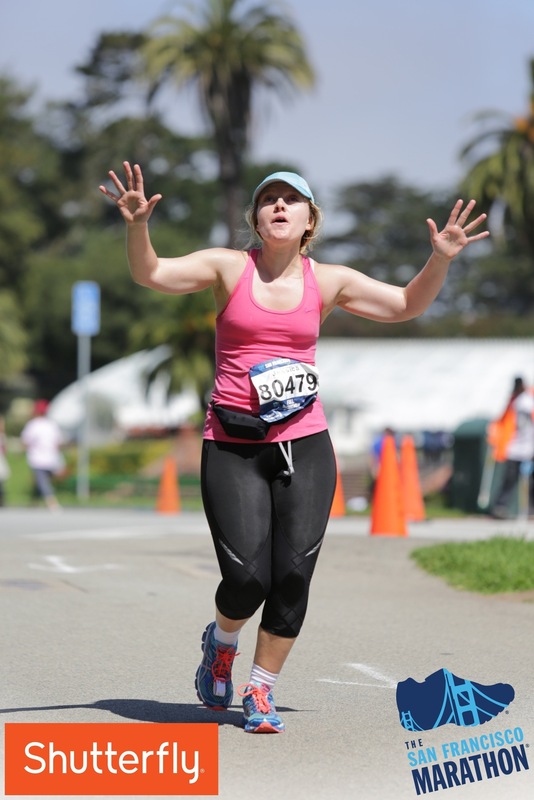 I have listed my race scores here because I am PROUD. I did way better than I thought I would or could. My post race meal at Super Duper. 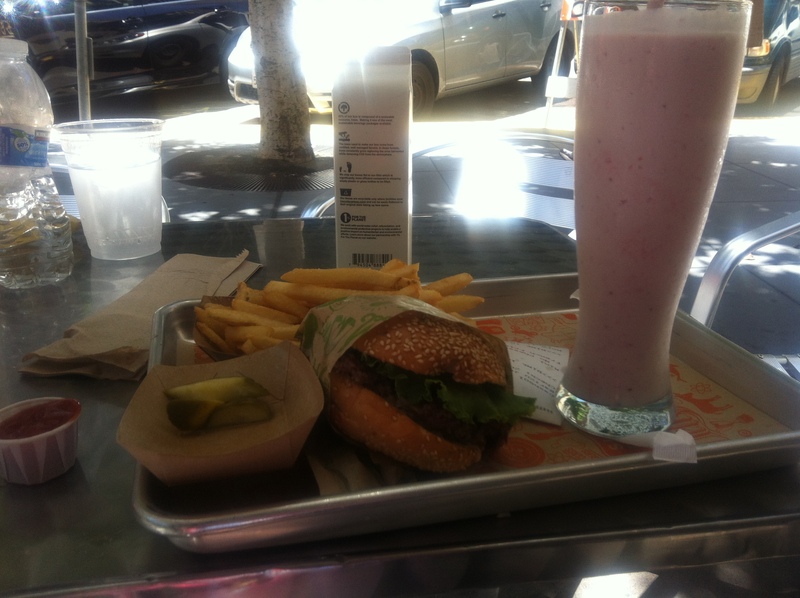 Mini Hamburger, French Fries, Homemade pickles, and a Fresh Strawberry shake! I couldn’t even finish it all! 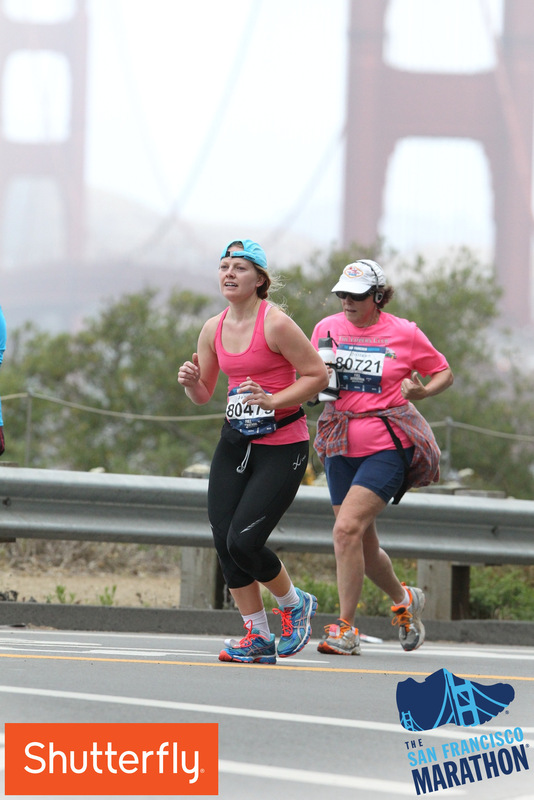 Recap: I have no desire to complete a marathon again. 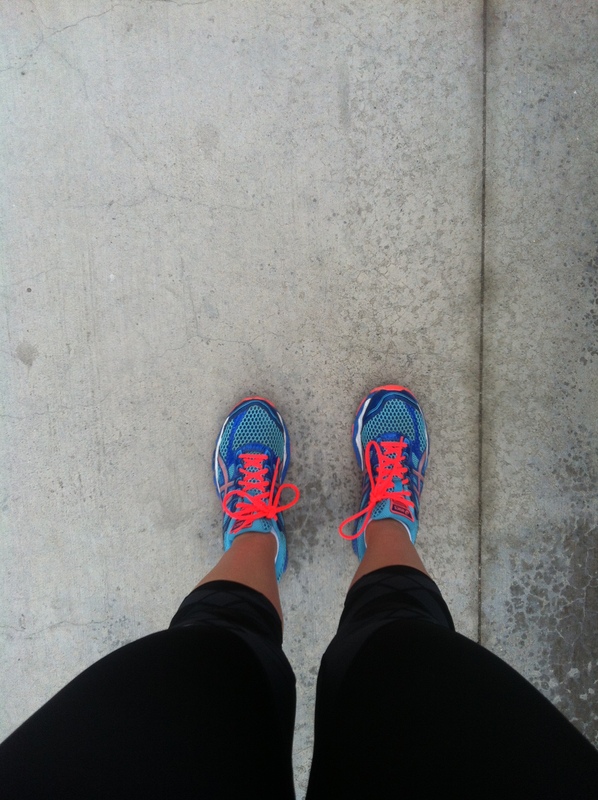 However, I can say that I am proud I did it and I will continue running for fun. Previous postA wonderful day EVERYday!